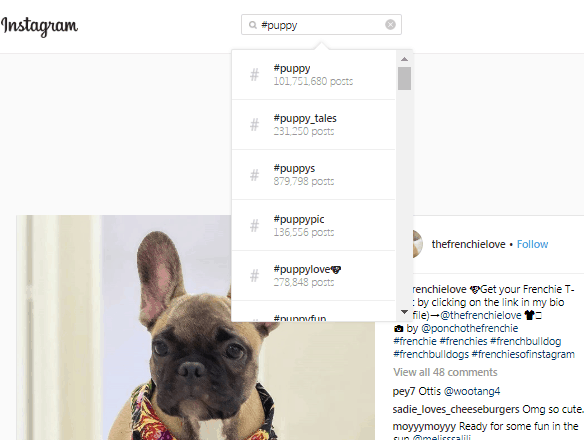 Wondering how to find trending hashtags on Instagram? Welcome to the guide you’ve always wanted. For every ‘Grammer out there that knows all about the nuances of #TBT and #Instagood, countless others have no idea what they’re doing when it comes to adding tags to the ends of their posts. At first glance, hashtags can seem like nothing more than a way to clutter up your content. However, they’re far more useful than you might think. When you know how to find trending hashtags on Instagram, you also know how to infuse your photos with the secret sauce that will make your brand more #shareable and improve your chances of new followers. Before we start looking at how to find trending hashtags on Instagram, let’s begin by covering why it’s so important to get the right tags on your posts. According to studies, Instagram posts with at least one hashtag receive up to 12.6% more engagement. Combine a happier audience with the fact that the right hashtags can improve your chances of appearing in the “Top Posts” section of Instagram, and you’ve got a serious recipe for success. The most important thing to remember is that you can’t achieve #InstaFame with just any old tags. You need the right balance of relevant and trending hashtags for your account. Crucially, succeed with trending hashtags doesn’t necessarily mean focusing exclusively on the most popular tags online. You need to pick the words and phrases that are currently gaining the most traction on Insta. That’s what we’re going to look at today. Your Audience: Check out some of the latest posts from your followers on Instagram. The chances are that they’ve added some hashtags to their content. If you notice some trending terms, add them to your list of words to use later. Your competitors: Your competition on Instagram is working just as hard as you are to find the right trending tags for their social posts. Cut down some of your hard work by using the tags other companies have found for you. Influencers: Influencers are almost always on the #CuttingEdge of the latest trends. Check out some of the most popular influencers in your industry and see which tags they’ve used recently that are relevant to your target audience. Remember, once you find a tag, don’t be afraid to use variations. For instance, instead of just using #DogLover, why not try something like #Frenchie, or the breed of your dog in your next pooch pic. 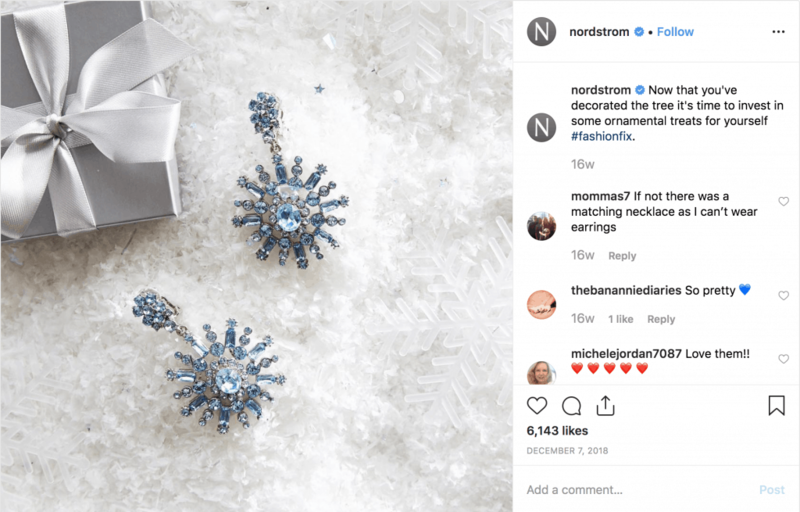 Another strategy to consider when figuring out how to find trending hashtags is to look at the hashtags available from top performing posts on Instagram. These are the most popular posts that end up at the top of the Instagram Explore page when you go searching for fresh content. The fact that these posts are ranked so highly is a good indication that they’ve used some pretty effective hashtags. Just remember that when you’re collecting trending tags from the top-performing post, you can’t just choose any old word or phrase. You need to pick the tags that are most relevant to your business and industry. If you start using tags just because they’re trending, you run the risk that Instagram will flag your content as spam. This is one of our favorite tricks for finding hashtags on Instagram because it delivers great results, and you don’t have to do a lot of work. Type a hashtag or word relevant to your industry into the search bar on Instagram and see what pops up in the automatic suggestion box. You’re sure to get at least a few ideas that you didn’t consider before. To make sure that the new tags you find are trending, type your hashtag into the search bar and select the “tags” option on the dropdown menu. You’ll be able to see the top-rated tags that are related to your tag, and you’ll also see how many people are using that tag. One of the best tips we can give to people who come to us asking how to find trending hashtags on Instagram is to use all the various tools and applications out there that are designed to track tag usage for you. For instance, there’s a website called RiteTag that many influencers use to check on trending hashtags for the current week or day. All you need to do to use the system is go to the Hashtag Search page, and you can load up a complete list of the most popular trending hashtags currently in use. If you want more info on a specific hashtag, then you can click on the “View Stats” option to see details about usage graphs and hourly popularity statistics. Alternatively, you can try a tool like Hashtagify.me, the great thing about this tool is that it allows you to search specifically for hashtags that are relevant to your chosen niche. The tools are very easy to use, so even if you’re an Insta beginner, you should still feel comfortable with these applications. Why not get ahead of the curve with your trending hashtag search and find out what people are talking about all over the internet (not just on Instagram). Many tools focus on helping you to find out which tags are the most popular for specific platforms. However, with tools like Tagboard, you can check out what your customers are talking about in channels all across the web. Because Tagboard aggregates conversations happening around the web, it’s an excellent tool for keeping your profile as relevant as possible in your industry. Although tagboard doesn’t introduce you to new hashtags that you can use for your company, it will help you to see which tags are the most popular, so you can make sure you’re attracting the right followers. Finally, instead of spending all your time figuring out how to find trending hashtags on Instagram, why not make your own tag and make it go viral? This might be the trickiest strategy on this list, but it’s also something that can be seriously beneficial if you know how to manage it successfully. All you need to do is make your campaign hashtag as funny, smart and memorable as possible. Branded hashtags are great for promoting your upcoming events and new products. For instance, Red Bull created the #PutaCanOnIt hashtags to encourage people to post more pictures on Instagram. 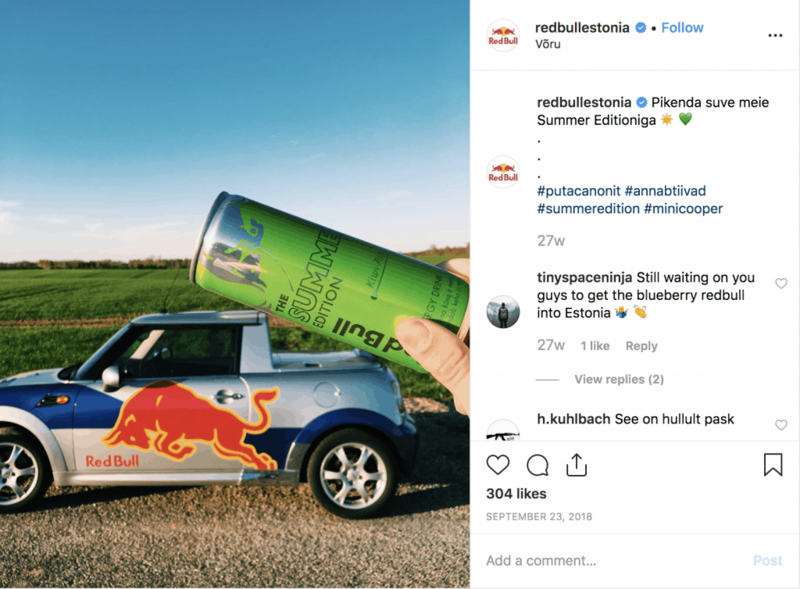 If your branded hashtag takes off, then people will be talking about your business for days, months, and even years to come. Ultimately, figuring out how to find and use trending hashtags isn’t always easy. Each day can have it’s very own selection of popular hashtags. For instance, you’ve got #ThrowBackThursday and #MondayMotivation. However, if you learn how to understand and navigate the complex nuances of trending hashtags, you’ll be on your way to stardom in no time!